NAFAC aims to facilitate thoughtful dialogue about foreign affairs among a diverse body of student delegates. Unfortunately, due to budgetary and size constraints, the conference cannot offer an open registration process. Senior leadership at the Naval Academy and the NAFAC staff convene in the fall of each year to finalize the list of invited institutions. This committee considers a variety of factors, including previous participation, moderator feedback, quality of delegate paper submission, diversity of schools, and expanding conference reach. 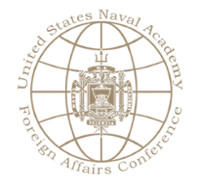 Ultimately, invitations to send delegates to NAFAC are extended to both civilian and military universities around the world via email, typically in December or January. The invitations for NAFAC 2019 were sent in late January 2019. While we wish that all interested parties could attend the conference, we hope you understand our budgetary and size constraints when inviting delegates each year. Schools who would like to be considered for an invitation to NAFAC 2020 may express interest by contacting the NAFAC staff via the details on the “Contact Us” page. Delegates who have been chosen by invited universities should register by Clicking here. The password for the EventBrite is provided to schools via the official NAFAC 2019 invitation.